AYO is a revolutionary technology based on Nobel Prize-winning mechanisms that helps you sleep better, beat jet lag and have more energy! 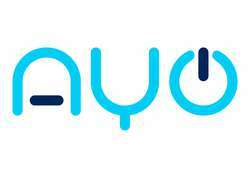 Based on 20+ years of scientific research in leading institutions such as Harvard, Oxford and NASA, AYO is an advanced wearable technology that optimizes your hormone levels according to your lifestyle and preferences using a specialized blue lighting solution. Imagine having your own portable sunshine that helps you sleep better, feel better and be better.